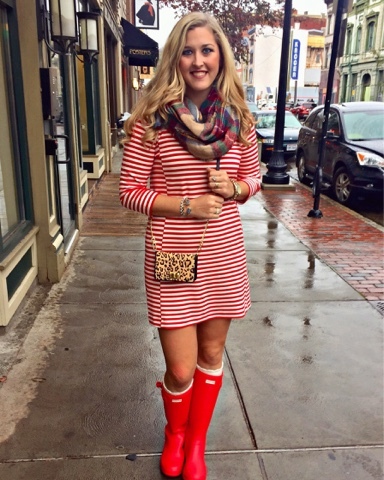 Caitlin from dashofdarlingblog.com looks amazing in hers! Leggings, pants, whatever you want to call them, these are gorgeous and perfect way to add sparkle to your holiday party look. One of my favorite looks from my holiday wardrobe guide. See all about my previous look here. 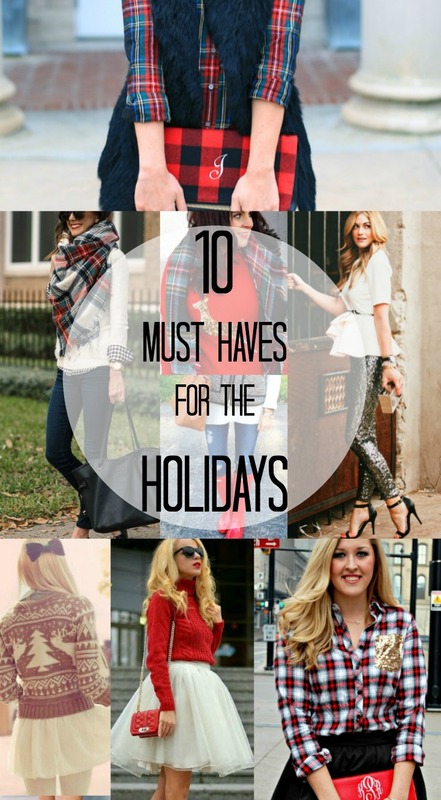 Sarah from classygirlswearpearls.com and her gal pals know plaid is definitely essentials for Christmas time. 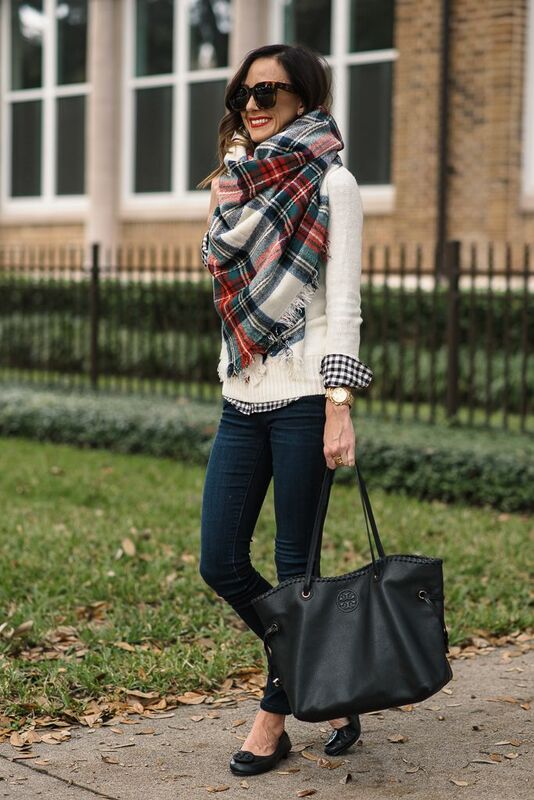 Plaid shirts are perfect on their own with a skirt or jeans, but are the perfect layering piece as well. 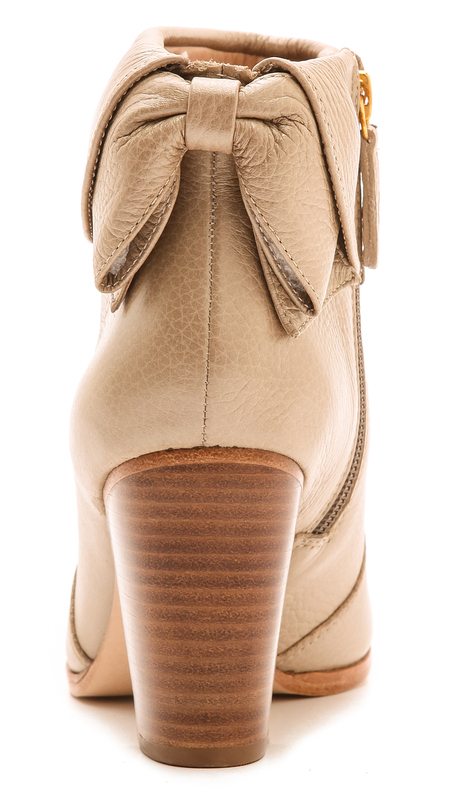 I have these exact shoes and can't wait to wear them for a fab holiday party! 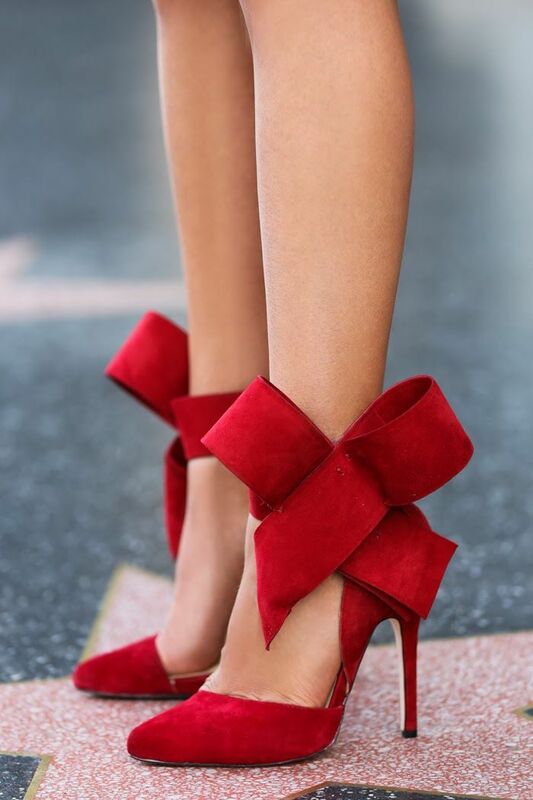 These Kate Spade Bow Booties have been on repeat for me all fall and will definitely continue to make appearances this winter! 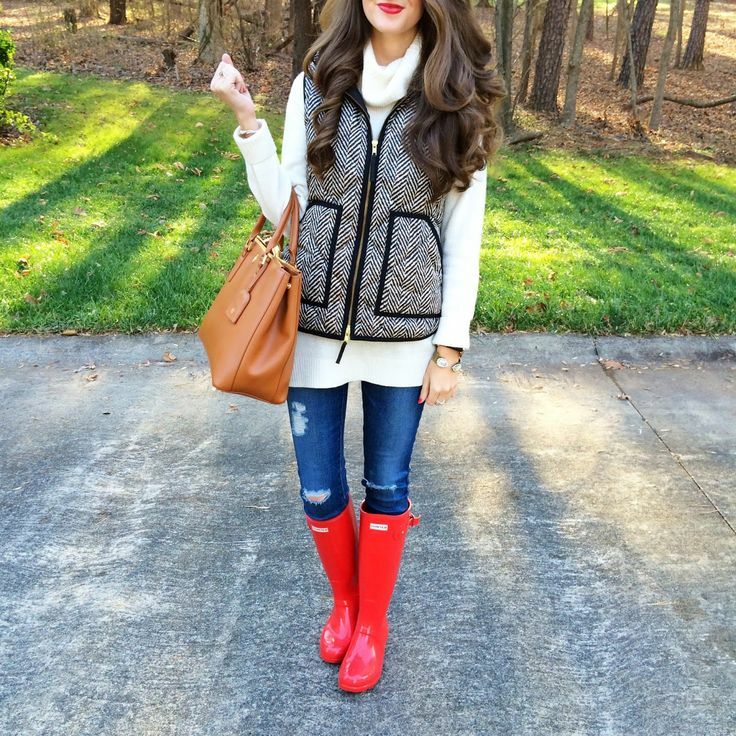 Perfect for a rainy winter day or even for snow! 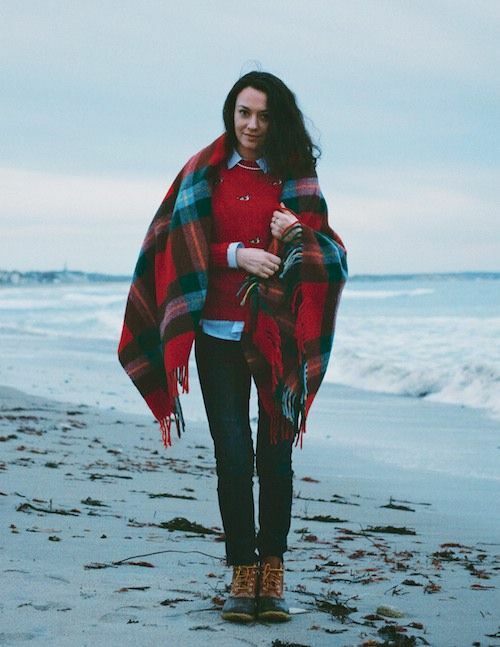 Bean Boots are perfect for dashing through the snow and keeping your feet warm! Preeti with ninesto5.com // Olive and Cranberry are a great twist to the traditional red and green. 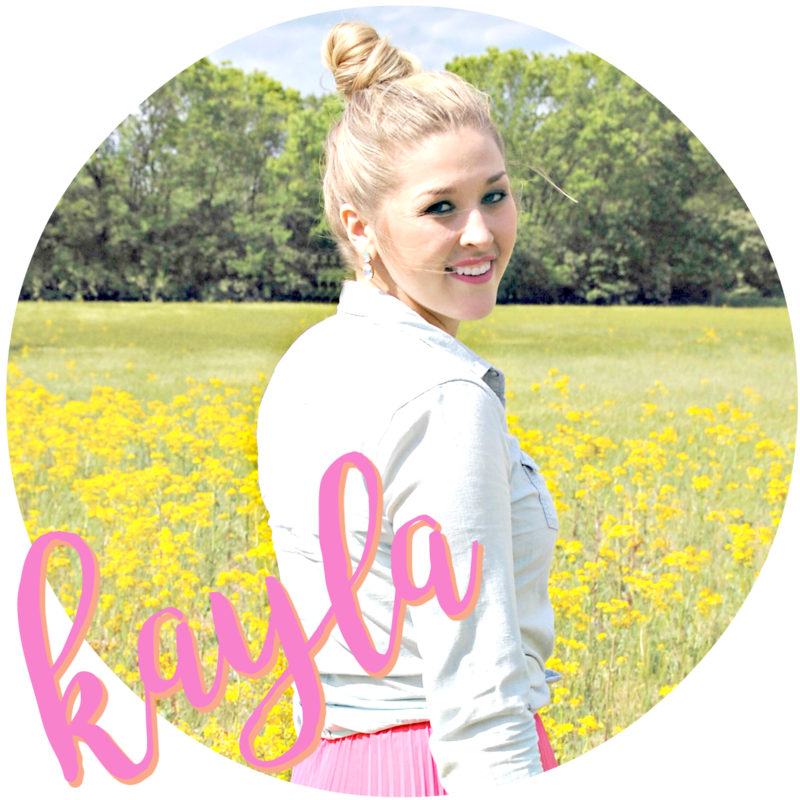 I love this look from Alyson with sequinsandthings.com. 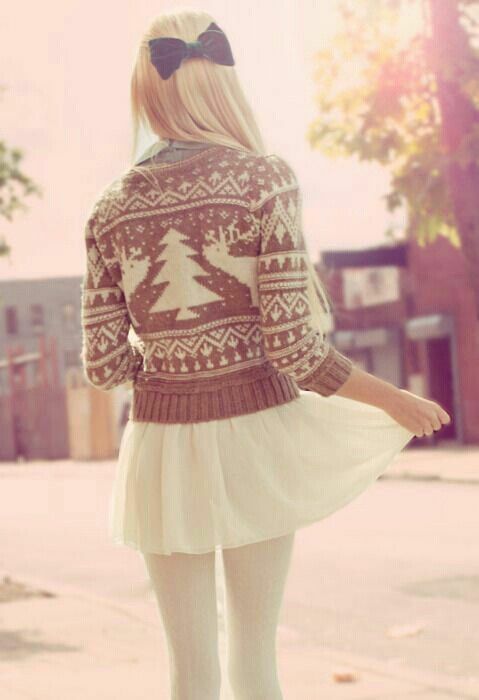 Perfect casual look. 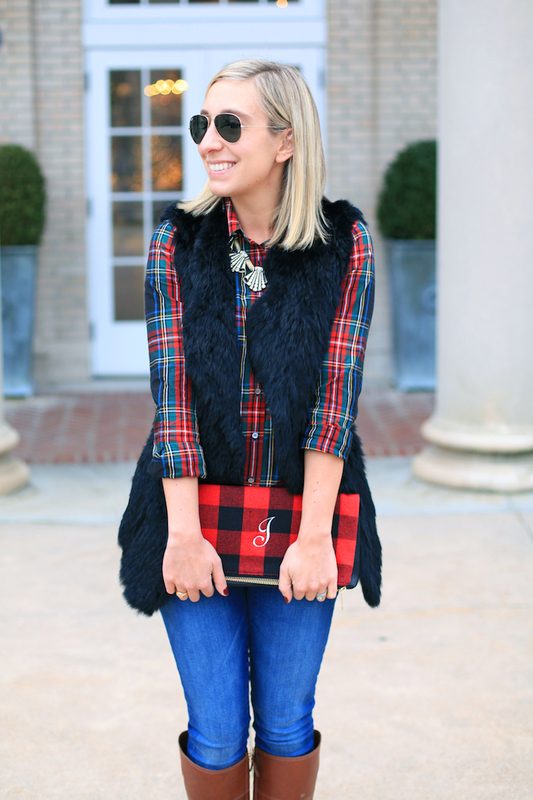 Julia with lemonstripes.com looks adorable with this fur/plaid combo! Shop all of these key holiday fashion pieces here! aw thanks so much for including me!! great roundup!